The new Paul Wheelton Scholarship to study Bachelor of Commerce (BCom) at The University of Melbourne is available to study in Australia. This scholarship is available for Indonesian students. 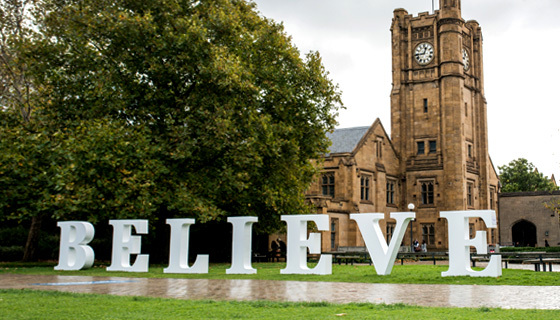 The University of Melbourne aims to assist Indonesian students who require financial assistance with scholarships. Course Level: Scholarship is available to study Bachelor of Commerce (BCom) at the University of Melbourne and residency at International House. Study Subject: Scholarship is awarded to study Commerce, economics and management programs. Scholarship Award: The scholarship provides tuition fee exemption for the recipient, and subsidises residency costs at International House for the duration of their BCom. Nationality: This scholarship is available for Indonesian students. Eligible Countries: This scholarship is available for Indonesian students. Be intending to undertake the Bachelor of Commerce at the University of Melbourne in Semester 2, 2018 or Semester 1 or 2, 2019.